Welcome to the All Gifts Considered Plum Deluxe Review! We are taking a close look at their “Tea of the Month” subscription box plus a few extra flavors. Our verdict is that if you are looking for a unique gift idea for a tea connoisseur, the Tea Club from Plum Deluxe is a great choice. Let’s see why. 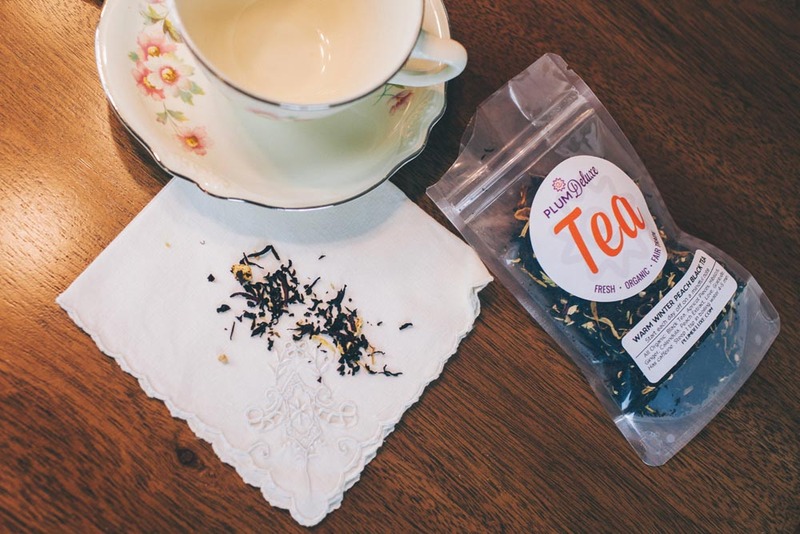 Portland, Oregon-based Plum Deluxe Tea is a thoughtful company that provides uniquely fresh, organic, fair-trade loose-leaf tea. They contacted me about reviewing their tea, and, not being a major tea drinker*, I ignored several of their rather peppy emails. However, I kept noticing phrases that aligned with our values here at All Gifts Considered. “Hand-blended in small batches at our studio in Portland, Oregon.” Dang, Oregon? That’s our home. That’s the “Northwest” in our parent site, Northwest Gifts. And hand-blended in small batches? Sounds so artisinal. The whole point of this blog is to help you find unique and thoughtful gifts, and we always try to emphasize hand made, hand crafted stuff. Dangit. They were hitting all the right notes. All of our tea blends are organic, non-gmo, and free of chemicals and sulfates – we support local and USA farmers wherever possible and run an active philanthropy program. Not only do we love all sorts of non-gmo and sulfate-free junk (having chronic conditions will do that for you), but we also are actively expanding our resources on giving and charity because that’s how we want to live. We also recently created a tagline that emphasizes this aspect of gift-giving: Living life generously. And here comes Plum Deluxe with their own philanthropy program. I had archived a couple of their emails but now I decided to give it a proper examination. Plum Deluxe’s line of signature loose leaf teas will help you to slow down for a mindful moment and enjoy the luxurious feeling of a cup of tea, perfect for a warm exchange with friends and family or a few quiet minutes of reflection in solitude. With firsthand experience of cholicky babies, a few minutes of quiet and solitude for reflection sounds like absolute heaven. Suddenly I found myself wanting a cup of tea so that I could have that very thing. Our company was founded by entrepreneur Andy Hayes as a tribute to his mother, who lost a brave 6-year battle with breast cancer but never forgot to enjoy “the little things” in life. Ouch. And, hmmm. The other blog at which I write is about funerals and memorials and helping people make their way through those final moments and the aftermath of losing a loved one. OK, I was sold. I hit “reply” and said yep, fine, allrighty, I will accept some samples for a “fair and unbiased” review. They signed us up as an ambassador (which means that if you order something I might get a commission, yay) and sent some samples on their merry way. Here Christin “unboxes” the tea of the month delivery package. This includes the regular 1 oz tea-club-only exclusive tea plus a bonus mini sample. We also received a few additional flavors to try out. Now you may be wondering, how does a guy who is self-described as “not a major tea drinker” give a good review? I’ll tell you. My job is to point you to great gift ideas. My part of the review focuses on the gift-worthiness factor. You know, the aura of the gift, the packaging, the smells, how well-received it is, who made it, all that jazz. Plus, though I’m a coffee guy, when there is good tea, I do rather enjoy it. It’s the same for me with wine vs a beer. Wine is ok, and in a pinch I would prefer a good craft brew. However, when someone else offers me a really good glass of wine, I really can and do appreciate it. You get the drift. So now I will introduce my secret weapon for this tea review: My wife. Yep, she is the tea drinker in the family. 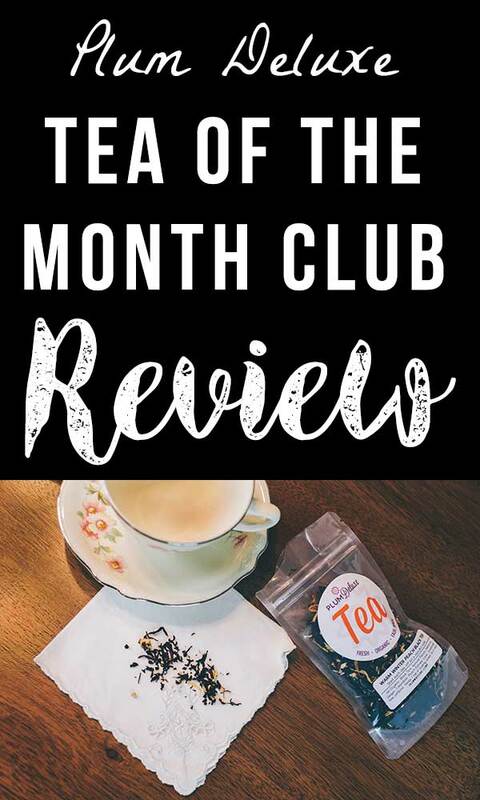 She has a few things to say about the Tea of the Month club from Plum Deluxe, and you’ll get (mostly) her opinion below. First, though, let’s get to a review of the subscription as a gift. That’s my part. When I told my wife I got her some (free) specialty small-batch loose leaf tea, she pretty much danced a jig right there on the living room floor. Exciting gift idea? Check. Later, once we had received the package and were opening it, she was clapping her hands and dancing around (again) with excitement, oohing and aahing over the fancy names and trying to smell each flavor through the bag. As I watched her enjoy the process of pulling out the china teacups, steeping the tea, and describing the flavors, I could only come to the conclusion that the Plum Deluxe Tea Club Subscription is truly a winning gift idea. “Warm Winter Peach” was the official tea of the month for this round. The one-ounce clear plastic bag is resealable and boasts the Plum Deluxe logo along with a sticker that describes the tea itself. “Start each day off on a mindful note,” the sticker advised. The all-organic ingredients for Warm Winter Peach Black Tea: Black Tea, Apricot Pieces, Hibiscus, Ginger, Calendula, Peach Extract, Love, Gratitude. Organic love? Hmm. Each sticker also notes the caffeine: “Has caffeine,” or “Low caffeine,” etc, as well as steeping times (3 min, 4-5 min, and so on). You know that feeling you get when you take a big, juicy bite of a fresh peach straight off of a local organic grower’s market table? Combine that with the coziness of a soft blanket on a cold day, add some more subtle flavors and turn it into a tea, and you get the basic idea of how the Warm Winter Peach tastes. It’s a very happy tea. You can get the tea subscription box in two levels, with one or two bags per month. Level 1 includes one ounce of the seasonal tea of the month, which is made just for the club and not available anywhere else. Level 2 includes the tea of the month plus another ounce of a surprise blend from the shop. Check out more details here. Our second blend was “Pick-Me-Up Oolong,” which claims that it will “put a spring in your step and give your creative spirit a boost.” This one has Formosa Oolong Tea, Orange Peel, Vermont Maple Syrup Extract, Almond Essence, plus Love and Gratitude, which I guess must have been left over from making the seasonal blend. There is a heavy, rich quality to this blend, perhaps stemming from that hint of maple syrup. The orange peel zips across quite nicely, brightening things up and keeping it from feeling weighed down by the Oolong. It reminded us of a yummy breakfast in the morning. Each month (on either subscription level) also includes a little bonus sample of another random flavor. This month’s tea sampler was “Queen’s Blend Green Tea,” described as “A cup of tea fit for royalty, just for you.” A quick check on the ingredients reveals that, yes, this too is made with Love and Gratitude. Good to know. Other more traditional – yet creative – ingredients include apple pieces, orange peels, blue cornflowers, calendula, bergamot oil, lemon essence, and vanilla essence. 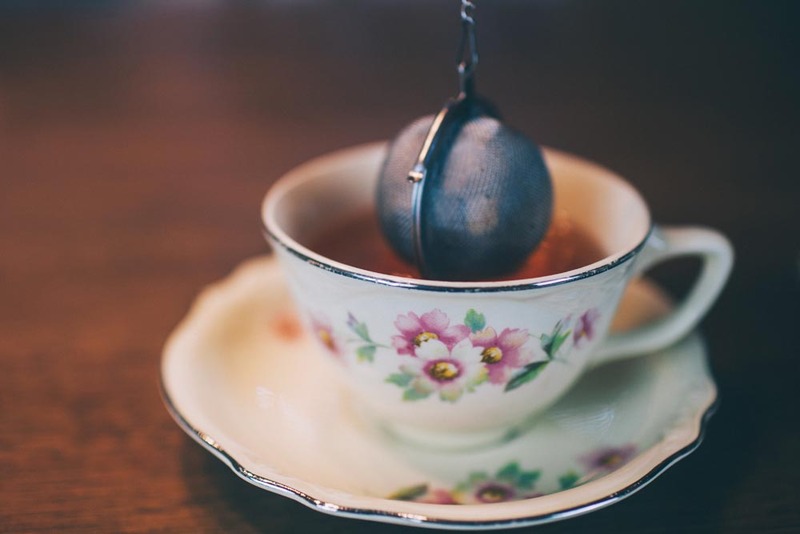 This green tea hits you with nod to Earl Grey plus just the slightest citrus flavor. A tangy warmth follows soon after, begging you for the next sip. Despite the complex of ingredients, the overall taste is simple and smooth with a final blush of something tropical. 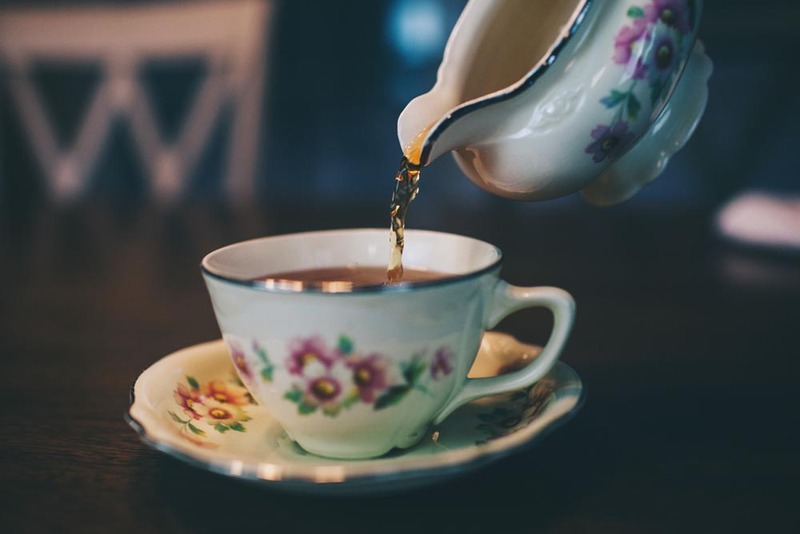 They also tossed in a few more flavors, “House Blend Black Tea” and “Candlelight White Tea.” These loose-leaf tea blends include fun ingredients like Champagne Grape Essence and Blue Malva Flowers. So in each tea-of-the-month subscription you get one totally unique special blend tea that you can’t get anwhere else, plus a free sample of another flavor. You can also “level up” to two bags of tea per month, which gets you a second selection, this one from the general store. In addition, as a Tea Club member, you get free shipping on any other teas you order. They say you will also receive members-only specials and discounts, which I imagine would be a couple bucks off on other teas you want to order. Since most teas run $7 per ounce, with free shipping that’s not too bad a deal. Lastly, you get membership into the “private, supporting tea-lovers community.” I’m not sure why tea lovers need support, but hey, take what you can get. Plum Deluxe Tea is a great company with solid ethics and purpose makes delicious, organic, fair trade loose leaf teas. These teas are available in a fun tea-of-the-month club that is affordable, attractively packaged, and includes all sorts of bonuses. These bonus features include free samples and an online community. The teas themselves are delicious and highly enjoyable, exhibiting a wide range of creative blends and unique ingredients that make drinking tea a memorable and comforting experience. For less than a bag of coffee per month, you can enjoy this club yourself or give it as a gift to a friend. Get started here. 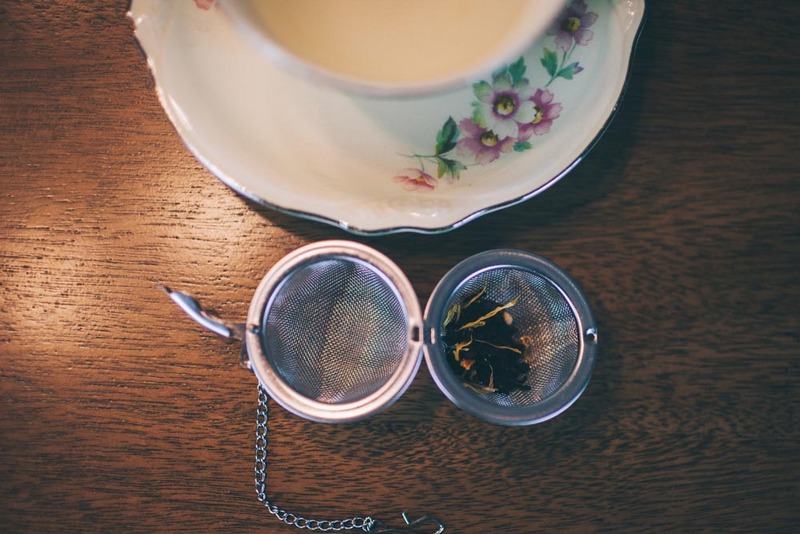 FAQ: Where do you get your teas from? Unlike most companies, we source all of our individual ingredients and then put together the recipes and blends all in house. This ensures the highest quality and the most creative, flavorful combinations. Almost all of the ingredients purchased for our teas are backed by USDA-compliant organic certifications. In cases where we work with a non-certified vendor, we are purchasing ingredients that are carefully wildcrafted. These are ingredients from a region of the world that does not have an organic certification program (such as parts of Japan or Taiwan), or from small family farms that cannot yet afford their certification or have not yet completed their certification. In all cases, we very carefully vet our products to ensure their are full of flavor. No unwanted chemicals, artificial flavors, or genetically modified organisms. Thank you for trusting us to find the freshest, most delicious ingredients that are grown on sustainable, fair trade farms by companies we know, like, and trust.